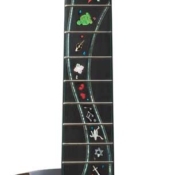 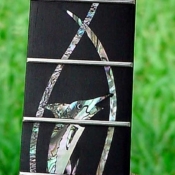 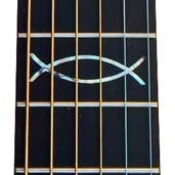 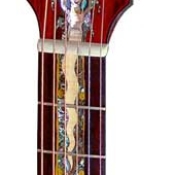 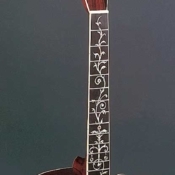 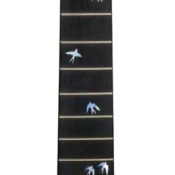 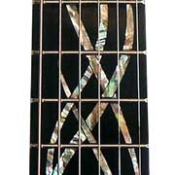 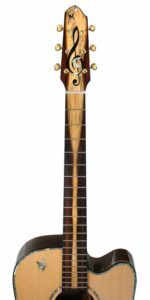 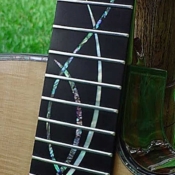 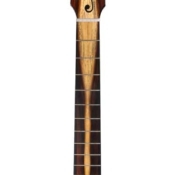 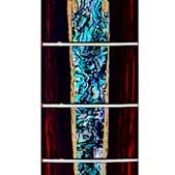 As many of the guitars that I inlay hold a story or a journey of the player, the fingerboard plays a vital role, in that it is the link between two parts of the story. 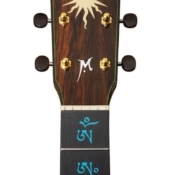 The part that is on the headstock, and the part that is on the rosette. 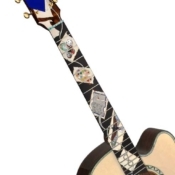 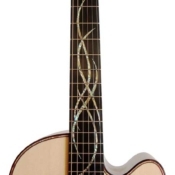 Very often I will complete the design for the rosette and the headstock, and will have to be a little patient for the linking story for the fingerboard to manifest. 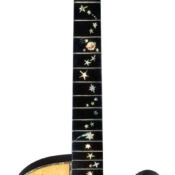 This suits me fine as generally I complete the body, the rosette and the neck and fingerboard come after that. 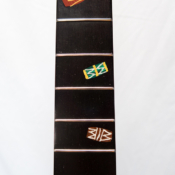 Due to the fact that I cut all my Brazilian Rosewood backs and sides out of beams I have managed to have a large supply of off cuts which I have started to use of bookmatched fingerboards flowing into headstocks. 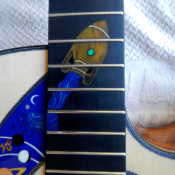 For greater strength and resonance I glue these fingerboards onto ebony.